Zvi Plesser is a graduate of the Juilliard School where he studied with Zara Nelsova. His principal teachers include Zvi Harel in Israel and David Soyer in the United States. 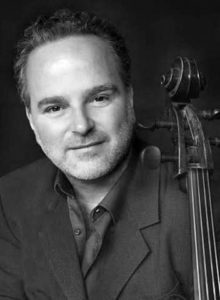 He has been on the faculty of the Jerusalem Academy of Music and Dance since 1998, and has taught at North Carolina School of the arts and in Hochschule für Musik Würzburg in Germany. He is frequently invited to give Master Classes and workshops in musical centers around the world.